Weekends are my favorite. I get to sleep late, take a break from work and appointments, and spend time with friends and family. Last night, I got to see some friends at a fundraiser for an organization that has given me my greatest support system and the best friends I could ever ask for. I have nothing planned for today, I just want to catch up on some TV shows. My mom is away this weekend, so I am going to order pizza tonight and just hang out, maybe watch a movie. I may even go for a swim at the gym. The pool is in a bubble now, but I can't wait for them to take the bubble down so I can swim in the sun! What is your favorite thing to do on weekends? Are you the kind of person that likes to rest and take it easy on the weekends or cram in as much as you can to stay busy? 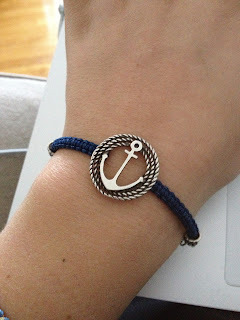 Lauren's Hope for the cutest medical alert bracelets ever - everyone always comments on mine and asks where I got it! TouchOfModern for the coolest modern products including cases for your electronics, lighting, artwork, etc. You have to use an email to register but you are not forced to buy. Scandal is my new favorite TV show. You can find episodes on Netflix from Season 1 and on Hulu or ABC for the current season.